This post is sponsored by Uncommon Goods. But all reviews and opinions of the products are my own. It’s always nice to receive good gifts but I think it is an even better gesture to give good gifts, especially when they are meaningful and serve a purpose. I’ve been noticing a trend that as soon as Fall rolls around folks start talking about Christmas and gifting ideas. And I’m like, let’s just think about Fall for a little longer, shall we? At the same time, I know there are reasons to start planning early. Fall and Christmas are close to each other and sometimes they seem to run into each other. Plus with all the hustle and bustle of the holidays getting a head start is not a bad idea at all. Do you ever find yourself buying the same types of gifts over and over again for certain family members only in different colors or styles? Tell me I’m not the only one. Sometimes it’s not always easy to find that perfect gift. Other times, it does not help that some family members are hard to shop for anyway. They already have everything you could think about or they are just hard to please. That is when it’s time to start thinking outside the box for gift ideas. And I’ve got just the place to find out-of-the-box gifts with unique styles that would be great for those family members. Ever heard about Uncommon Goods? Their product line is nothing like I have seen. It is seriously out of the box! Here is a little bit of what Uncommon Goods is all about. It’s a small independently owned business located in Brooklyn, New York where the focus is to create uniquely designed items for home and family. They also offer support to and create a platform for designers. Many of their products are handcrafted and others made from up-cycled or recycled items. Their mission is to impact the world in a positive way without harm to animals and humans and I think they are doing just that by what they create. I love it that their products are so unique and “uncommon” as their name states. You know the kind of things you wish someone would invent to make certain items more functional and even add more convenience? That’s is exactly how I would describe these “uncommon” goods. They are functional, convenient, pretty and not the everyday type of gifts. I’ve rounded up a few of these goods that I think would make wonderful (use-able) gifts for home and family. Check them out below. 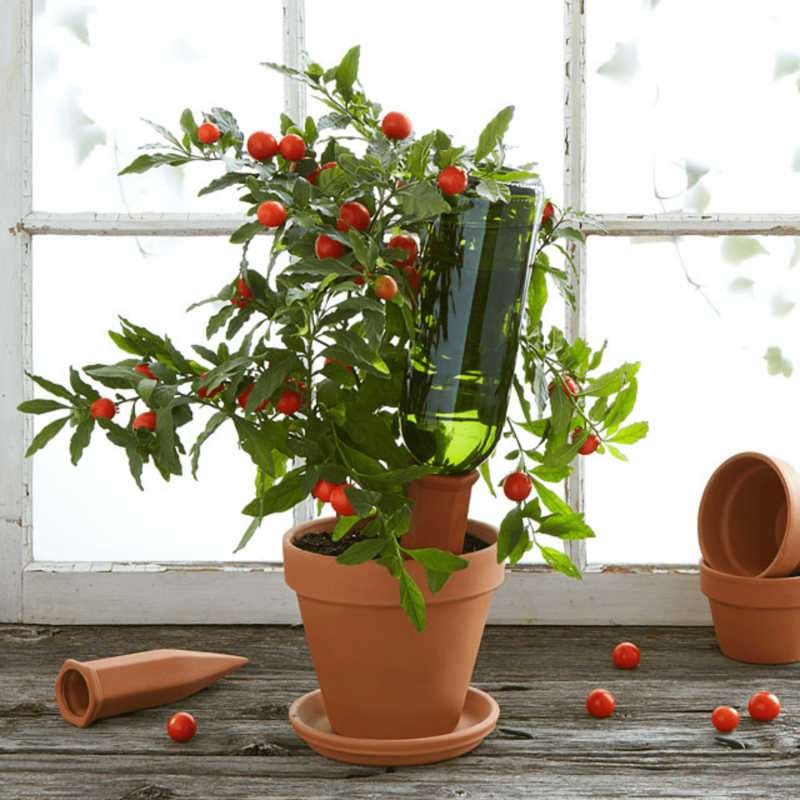 I don’t know about you but I have a tendency to forget to wet some of my plants, especially the ones on my porch. Out of site, out of mind right? When I’m busy getting stuff done inside, my porch plants get neglected. How cool is this Recycle a Bottle Plant Nanny Stake? I’ve never seen anything like it. Add your favorite bottle with water to the stake and it will pour out the right amount of water when the moisture has dried up. This would be such a nice gift to mom (or self) to help with the plant watering struggle. I know this would be very helpful to my plants. As a homemaker, I have come to appreciate gifts that could benefit the entire home just as much as I love ones that are for me only. What do you think about it? You can find lots more unique gift ideas for mom here. When it comes to buying gifts for men, I tend to have a difficult time deciding what to buy. Uncommon Goods has an entire selection dedicated to men. 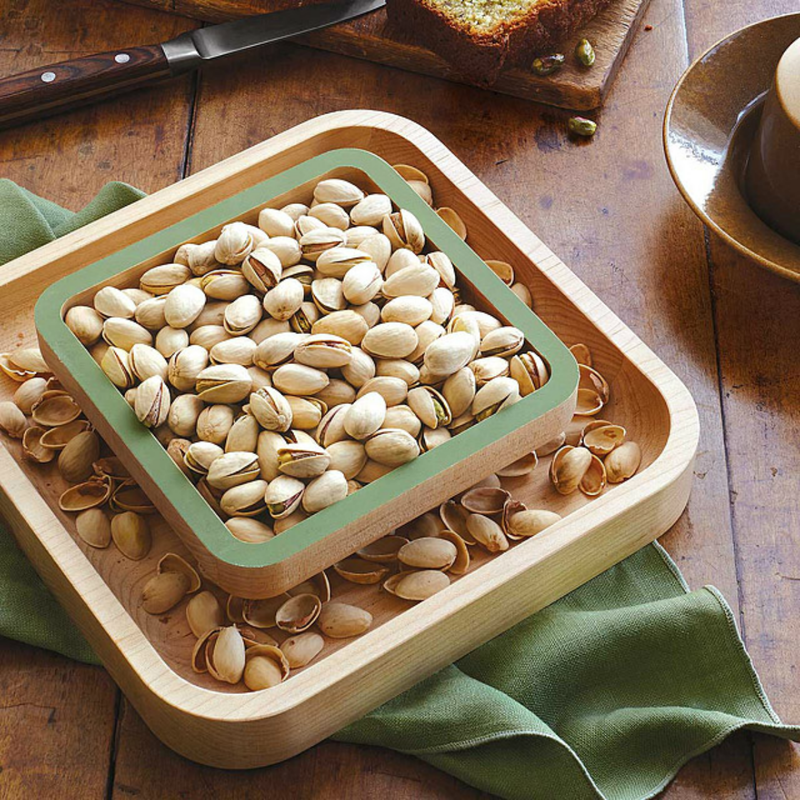 One item that caught my eyes while browsing their site was this Pistachio Pedestal. It would make such a good gift for dad/husband’s office. My husband loves snacking on nuts and I think this would be great to have on his office desk. He could fill it up with nuts and snack away as he pleases or his office visitors could snack away as they please. What do you think of this one? If you are ever stuck on knowing what gifts to buy for dad/husband or men in general, you will find loads of brilliant ideas here. We often narrow our gifts to a specific person but how about something that an entire family can enjoy? I know of a lovely couple that purchases a game each Christmas so their entire family could play games. It is one of their family traditions and I think it is such a neat idea. How about these big yard dice to add to such a game collection? They look so cool and are made from solid pine wood. It would definitely be fun to have some of them for family game time. I have always been a fan of games with dice. Remember Snake and Ladder? Do they still make that game for kids? I loved that game. Especially when I got to shake then roll the dice hoping they would fall on a number that would skip over the snake. But I have not seen dice so large as these jumbo ones. Even though they are called yard dice they will be great for indoor games as well. Uncommon Goods has lots more unique gifts for families. Click here to see more. I also really loved their kids selection of gifts. Wooden toys are a favorite around here and the ones from their store have an educational aspect to them that I love. Like these set of wooden blocks and so much more neat ideas for the little ones in your family. I wish I could show you a bunch more of the beautiful uniquely crafted gifts from Uncommon Goods but I think you should take a look around for yourself. You’ll love them and may even find something to add to your gift list. What do you think of these gift ideas? Aren’t they unique? I would love to know your thoughts in the comments. These are awesome ideas!! I need to get on my shopping asap!!! Aren’t they great? They are really unique and functional. This is my second time hearing about uncommon good this week! I’ve checked out the site and I’m loving the unique things that they have to offer. I’ve bookmarked a few items to purchase later. Be sure to check them out – they really do have some good options!! I really like the Pistachio Pedestal! I need to head over and check out some more gift ideas. I’m always looking for unique gift options and I love everything you shared here. And you are right, fall and winter holidays just seem to flow together. I think you would enjoy that pedestal for nuts and tiny snacks!!! You would love the other options over on their site! Stacy and I always enjoy shopping different types of gift ideas.We are those people who usually wind up buying something for ourselves, lol! I’m on my way to check out Uncommon Goods right now. LOL!! Check out Uncommon Goods – they have so many great and unique gifts. With them you will totally avoid buying the same gifts for each other!! I LOVE uncommon goods! 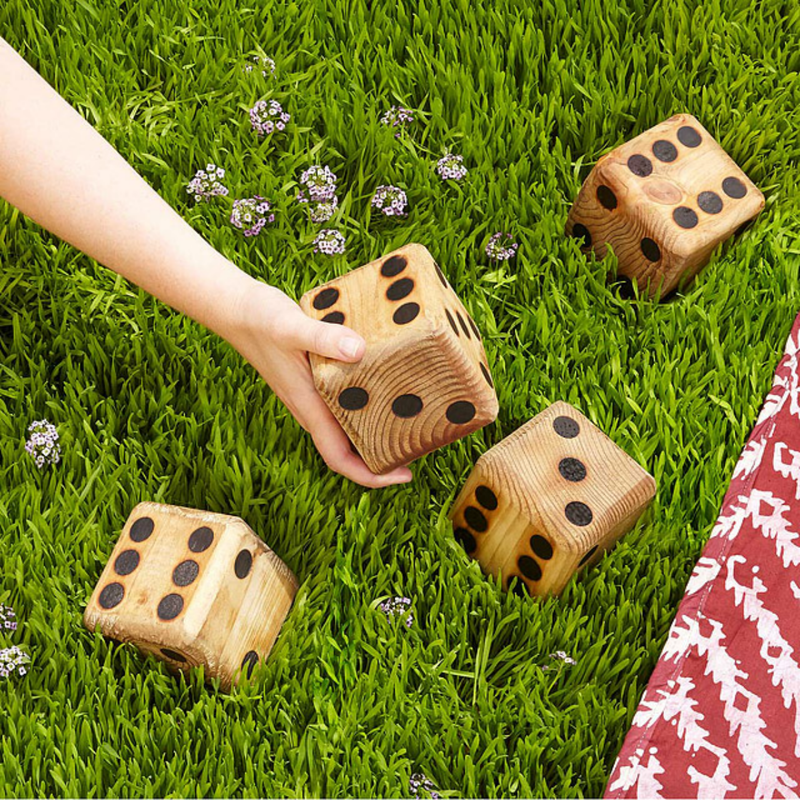 It is the season to start thinking about Holiday gift ideas … I love those yard dice – so fun! I love the dice too. I think they would be great for family games!! Aw these are such great gift ideas. I especially love the Recycle a Bottle Plant Nanny Stake. This looks so cool!! Thank you so much for sharing! I know and that plant nanny would be such a cool thing for plants!! Yes, my plants will thank me for this one!! I needed some different ideas too so these are really helping!! I hear you Zan! It can be so hard to find nice, thoughtful gifts for people. Especially those that could easily buy what they want/need. This looks like a great place to start finding some inspiration! Yes, it looks like a great place for gifts for the “hard to buy”. Hope you find something unique for someone! !